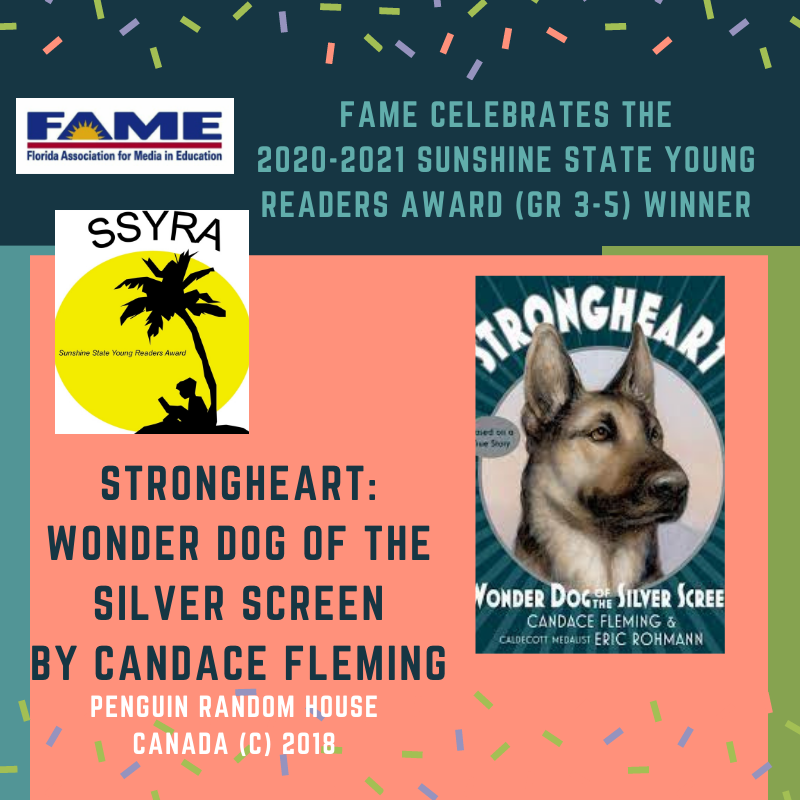 The Sunshine State Young Readers Award (SSYRA) Program is a statewide reading motivational program for students in grades 3 through 8, in a collaborative effort between the Florida Association of Media in Education (FAME) and the Florida Department of Education (DOE). The purpose of the SSYRA Program is to encourage students to read independently for pleasure and to read books that are on, above, and below their reading level in order to improve their reading fluency. 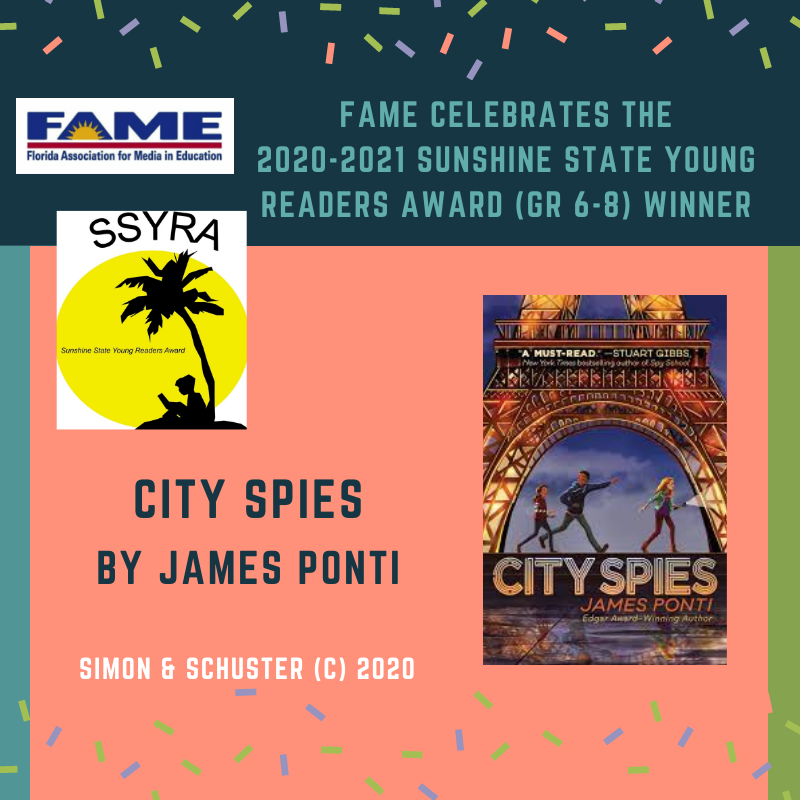 Sunshine State books are selected for their wide appeal, literary value, varied genres, curriculum connections, and/or multicultural representation. The SSYRA committee is comprised of 20 qualified school librarians located throughout the state of Florida, subdivided into two committees- grades 3-5 and grades 6-8. The SSYRA program is facilitated through your child's school. In most cases the school library media specialist administers the program, registers the school, and organizes voting. Please see your school librarian to ask how your child can get involved in the SSYRA program. Homeschooled students are welcome to participate as well. Please contact the SSYRA grades 3-5 chair, Jen Caressimo, or the SSYRA grades 6-8 chair, Ashlee Cornett, for more information. Get the latest news as it happens and share all things exciting that is SSYRA! Find out what's happening with your favorite authors and share what's happening in your libraries! Click the videos for the reveal of the top three 2017 SSYRA titles, winning books and authors! Click the logo to access the 3-5 titles and resources. Click the logo to access the 6-8 titles and resources. Click the logo to access the SSYRA archives for past year's lists and winners. 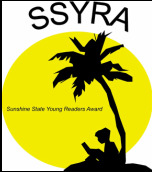 Click the logo for information on suggesting a book, becoming a SSYRA committee member, and FAQs. Interested in recommending a book for consideration for the SSYRA list? Please check out the criteria on the SSYRA FAQ page and fill out the online form.